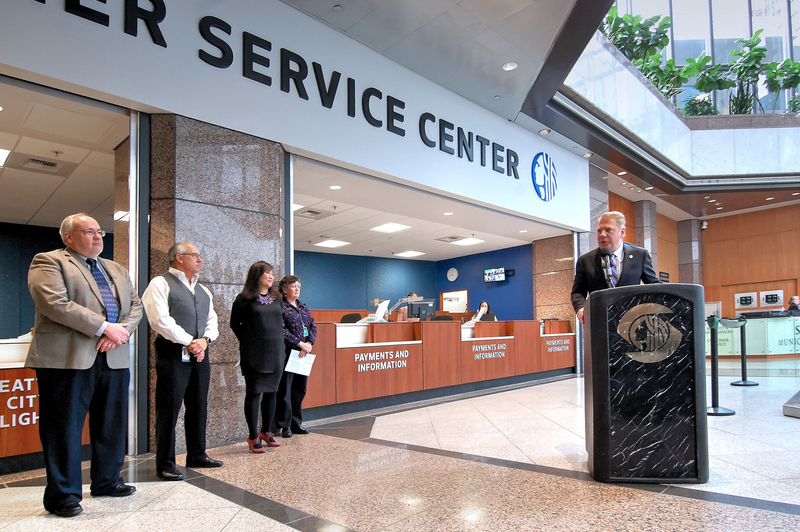 The City of Seattle’s Downtown Customer Service Center underwent a remodel to further expand the services and to provide even greater convenience for visitors and customers. 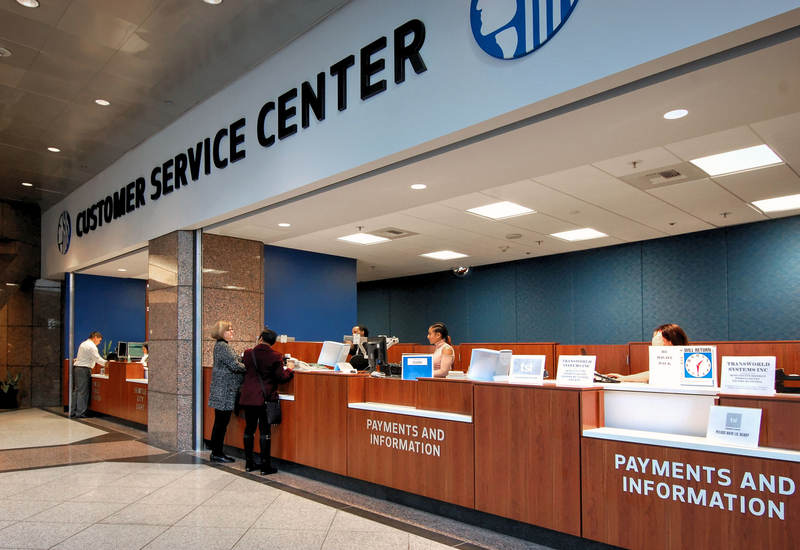 What was first launched as a pilot in 2013 in a space vacated by KeyBank on the ground floor of Seattle Municipal Tower, the new Customer Service Center creates a permanent facility for the Downtown Customer Service Center with five designated customer windows for Payments and Information, Seattle Public Utilities and Seattle City Light. A vibrant color palette, clear and impactful signage, and a key focus on accessibility make the facility easy to navigate toward and access the services of need. Integration of built casework and electronic sit-to-stand workstations allow staff customize the work experience without compromising the clean and approachable image desired by the City.